144 pages | 23 B/W Illus. Japan was sometimes described as a country of "peace" during the Cold War period, in contrast to the continental border conflicts taking place at the time, such as the China-Soviet rivalry. However, as the maritime frontier was "rediscovered" and defined by the regional powers and legal refinements of the 1970s, the process of states seeking a secure maritime zone has accelerated and maritime rivalries have become as intense as inland rivalries. This book examines the territorial disputes souring relations between Japan and its three neighbours: Russia, South Korea and China. 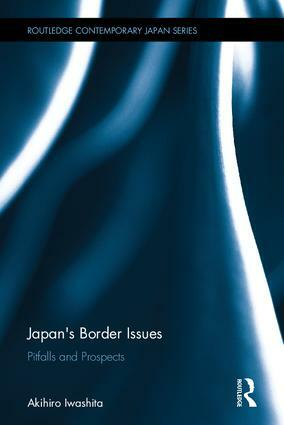 It combines an empirical study with theoretical advancements in comparative research to understand the Cold War and post-Cold War border issues related to Japan, particularly the Northern Territories/South Kurils dispute with Russia; Takeshima/Dokto with Korea; and Senkaku/Diaoyu with China and Taiwan. Based on the history of negotiations with the Soviet Union and Russia over the course of fifty years, the study offers a series of practical suggestions to enable these disputes to be separated from arguments over their history and resolved on the basis of the principle of mutual advantage for those affected by them. This book provides not only the key to resolving these three disputes affecting East Asia, but the framework in which to seek the resolution of other territorial issues worldwide. Explaining the history and possible outcomes of Japan’s territorial disputes with Russia, South Korea and China whilst providing concrete steps for resolving entrenched territorial disputes, this book will be of great interest to students and scholars of International Relations, Japanese Politics and International Law. Akihiro Iwashita is Professor in the Slavic and Eurasian Research Centre at Hokkaido University, Japan. The aim of this series is to publish original, high-quality work by both new and established scholars on all aspects of contemporary Japan.